The Labadie name is well-known and consistently recognized for quality in Michigan’s Saginaw Valley. 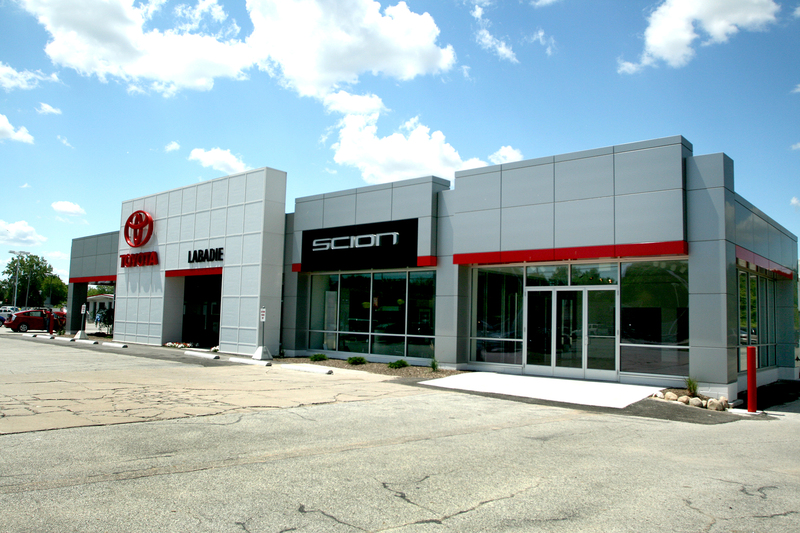 With multiple dealer points throughout Bay City and Saginaw, The Labadie Auto Group was in need of a conversion from an existing brand to the new Toyota corporate image. Working with the national prototype provided by Gensler Architects, and then teaming with Michigan-based auto dealer architects City Scape Design, Wieland led this design-build effort by adding a new service write-up, a completely renovated showroom, and the new signature, Toyota marquee sign/light.